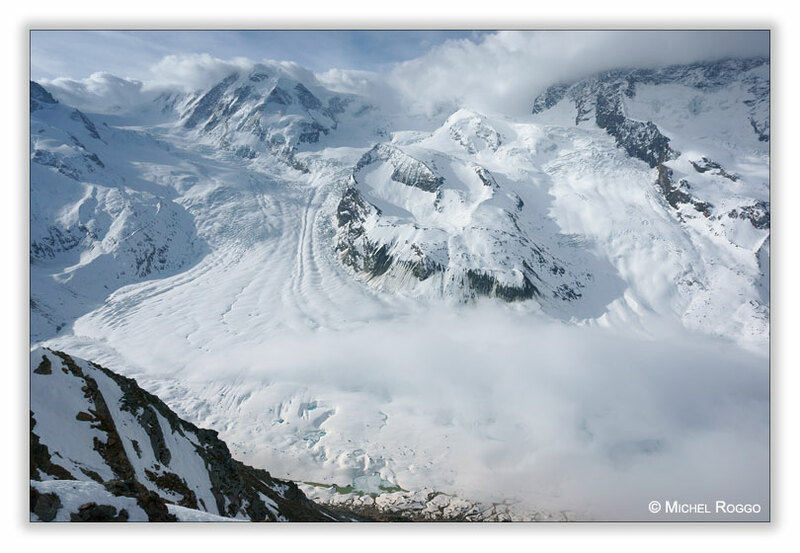 Still lots of snow up in the Swiss Alps. 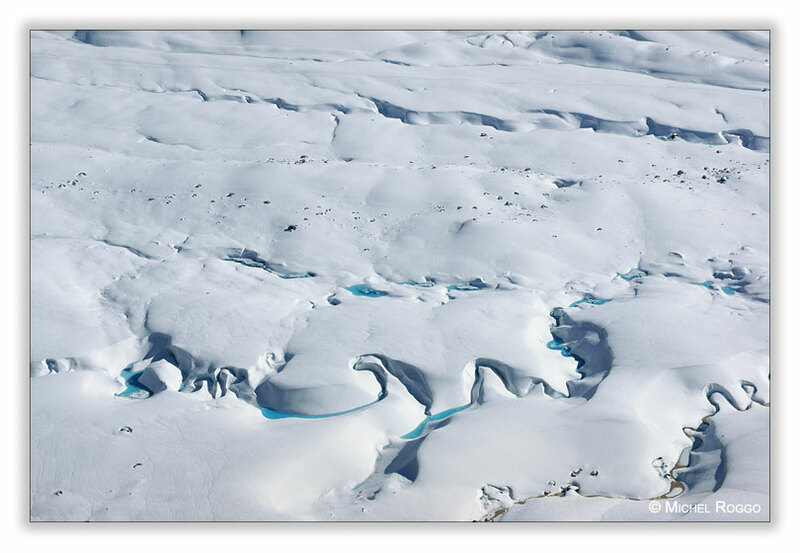 But slowly meltwater is forming, creating meltwater channels on the glacier. 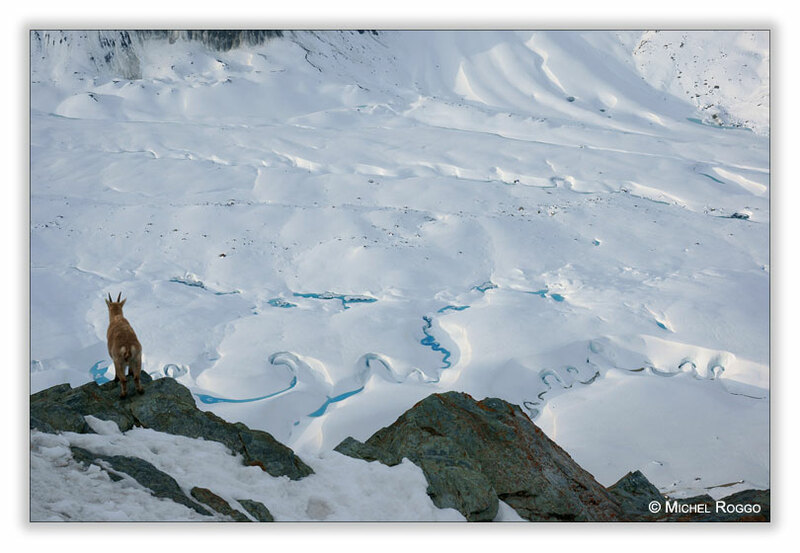 An Alpine ibex seems to observe this spectacular phenomena. One day later, there was again heavy snowfall, with about 80 cm of fresh snow, and this at the end of April. So I have to wait to return to the glacier.